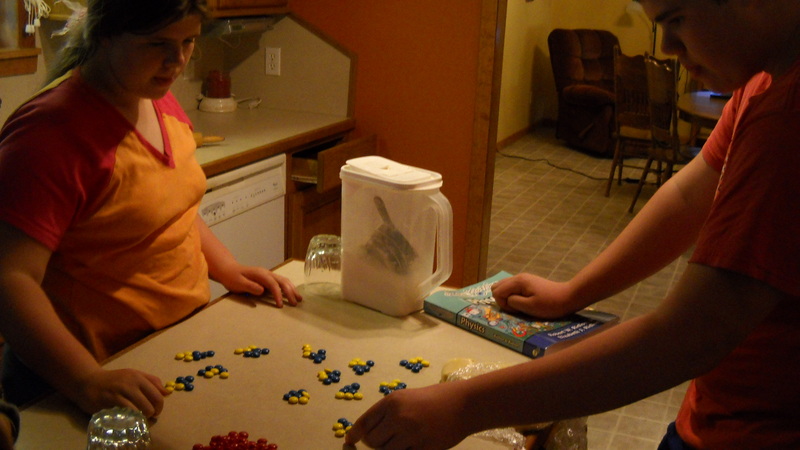 What’s the matter, homeschooling mother? Are you like me? Does the thought of teaching science to your children scare you? The sciences in general have a reputation of being an almost out-of-reach specialty that is only for a few people. So it’s understandably if words and phrases like: physics, atoms, electrons, extranuclear region, berkelium, gravitational force, electromagnetic spectrum, and the laws of thermodynamics concern you some. Maybe you love teaching science. Maybe you excel in it, therefore so do your children. But, for the rest of us what do we do? The reality is that science does not have to be hard. After all, true science is simply getting to know God and understanding and appreciating His power and greatness. What Christian mother doesn’t want to teach that to her children? Not too long ago, I received the Christian Kids Explore Physics book from Bright Ideas Press to review with my children. The book contains 30 weekly lessons with step by step lesson activities, coloring pages, fun experiments, Review It questions, and unit quizzes. Because of the simplicity of each lesson all my children, regardless of age, can grasp the scientific facts with confidence and assurance. However, there is enough information in each lesson for continued learning if you choose. That is one of the reasons I like this curriculum. It is easily adapted. Another reason I like this curriculum is because of the authors statements in the introduction. 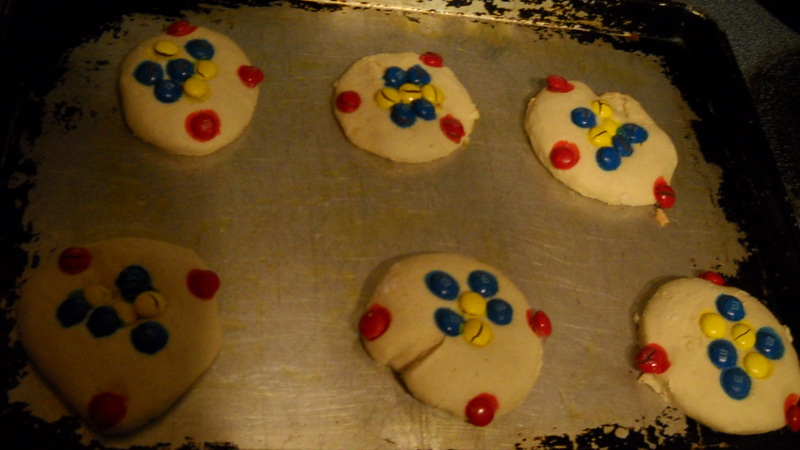 Last week while learning about the lithium atom we made atomic cookies. All you need are three protons, four neutrons, and three electrons. Amazingly enough, cookie dough and M&M’s work wonderfully well! 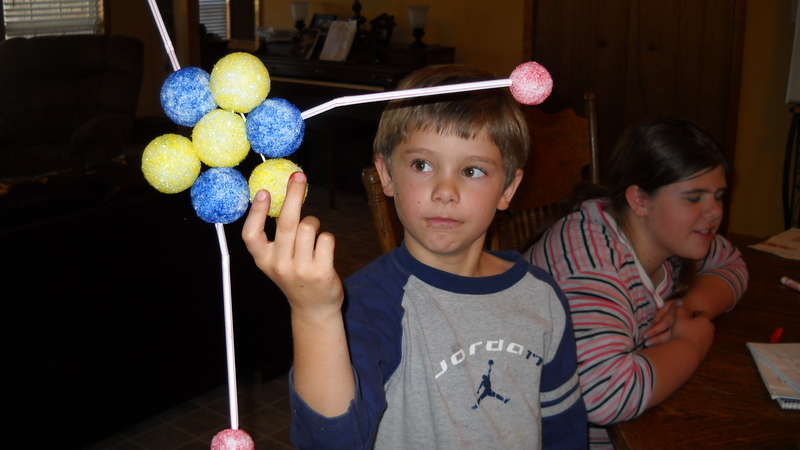 Andrew’s lithium adom model wasn’t edible but he still had fun making it. You can purchase Christian Kids Explore Physics for $34.95 for their website. To see what others are saying about Bright Ideas Press and their products click here. Disclaimer: As a member of The Old Schoolhouse 2010-2011 Crew, I received the Christian Kids Explore Pysics in exchange for an honest product review. I do not receive any other form of compensation for the reviews posted on this blog.